Maria B is one of most talented young fashion designer of Pakistan. She has done graduation and then got master’s degree in fashion designing from National college of Arts Lahore. After that, she has developed her own fashion house and starts her career. In such a few interval of time she has gained remarkable effective feedback and fame from people mostly among young girls. 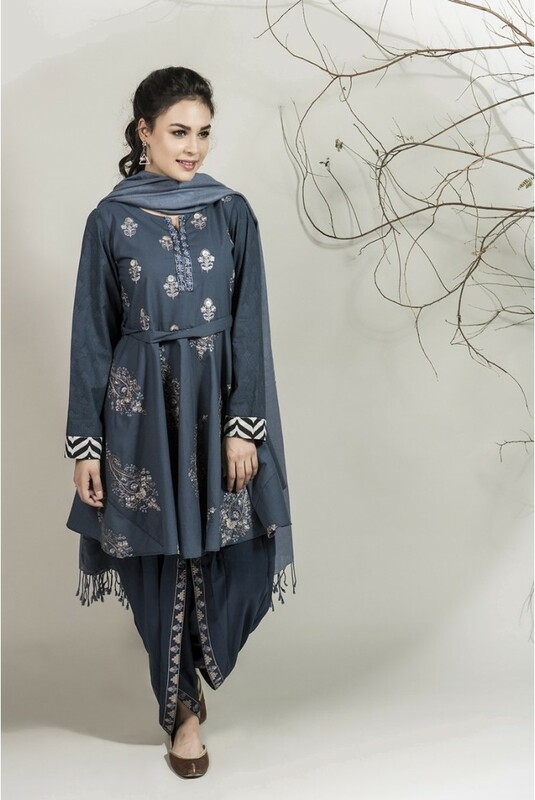 Maria B presents its seasonal as well as occasional collection including summer/ spring, winter/ fall, Eid / formal & evening wear, Casual and party wear and many more. She is also one of the most inspiring designer in developing the bridal dresses and offers her Bridal Collection after each six months in a year. she tilted her collection as “Maria B Brides”. Today i am going to Share the winter party wear dresses by Maria B latest winter collection 2018-2019. The assortment consists of different types of formal dresses that will be suitable and ideal for your party/ functions, gatherings, evening dinners, casual routines, office meetings, occasions, etc. The collection is now available at it’s all leading stores and outlets. Go hurry and get your most desired piece. 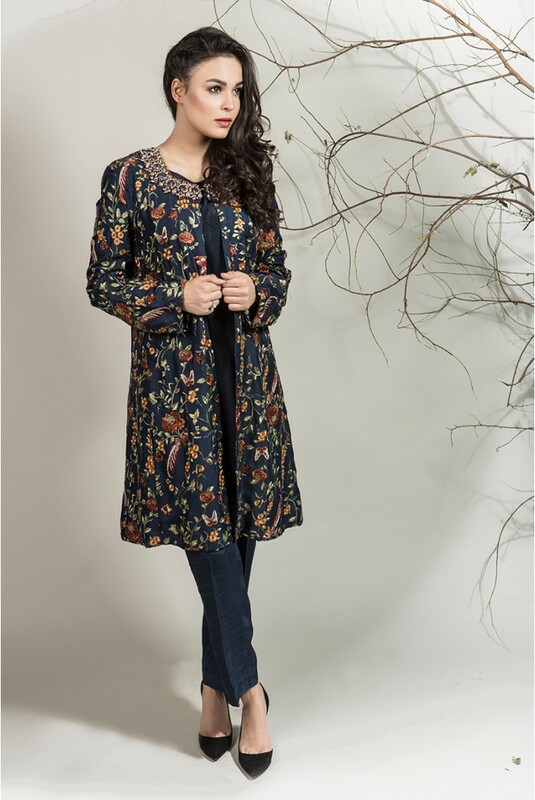 In this Maria-B winter party wear dresses you will come across with medium length shirts, casual tops, silk tunics and cotton dresses, Embroidered Kurta with Churi-pajamas. The beautiful printed shirts with embroidered necklines and borders makes this collection more appealing. 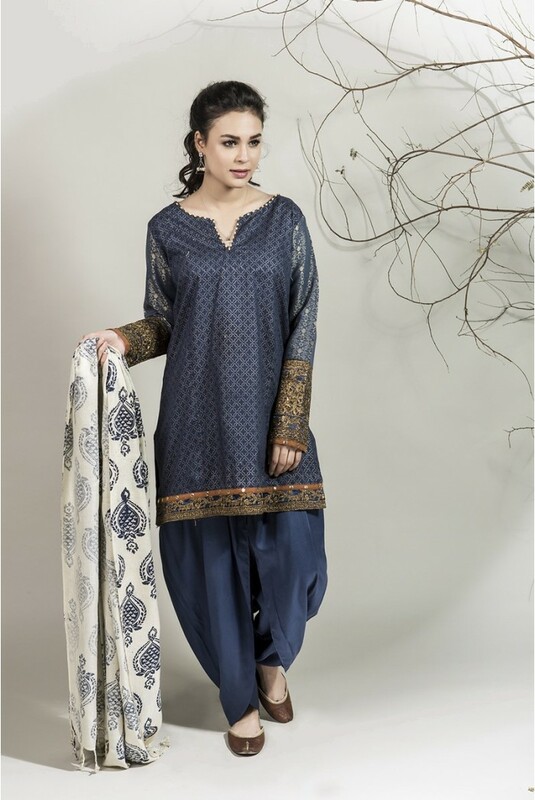 The traditional knee length kurtis with tulip shalwars gives it glam as well as ethnic sense. Other than this includes fancy adorned suits with matching duappatas and lowers. Check the beautiful collection just posted below and get inspired by the latest designs. Stay comfy & stylish this winters. 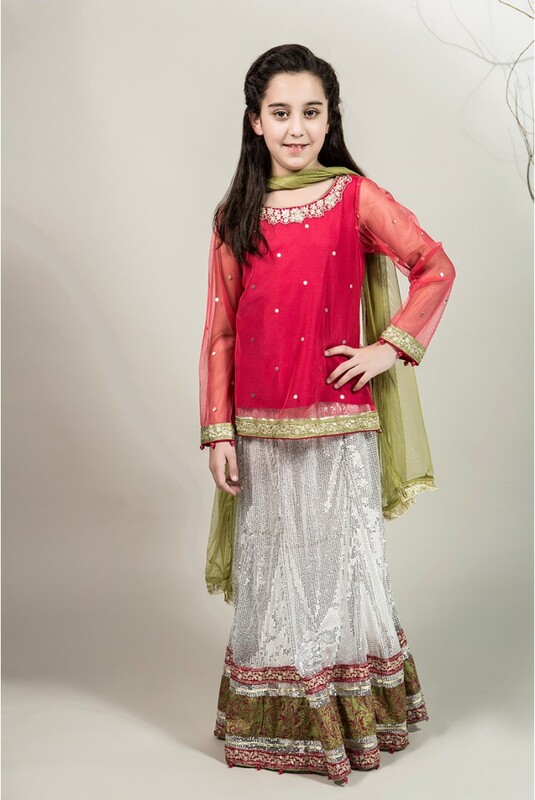 Short Anarkali dresses for little girls. other than this formal embroidered shirt, lehenga cholis, peshwas and frocks. The outfits are designed in very unique patterns and styles. You will see eastern and somehow western blend treated with different type of works like embroidery work, Tila work, glass work, laces work etc. 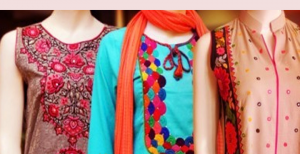 The attires are further made attracting by contrasting them with different colors including dark and light colors like dark orange, royal blue, green, black, pink, red, yellow, brown, mehroon, white, sky blue, peach, baby pin etc. 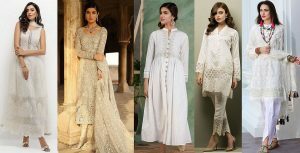 The collection also includes the festive wear dresses which you can wear at different festivals like Eid ul azha, Eid ul fitr or may be at any occasion. Have a look on the below posted image gallery and get inspired! Further See the Latest Clothing Arrivals By Most famous Fashion Brands.